As a "coasting" college professor I began to explore the world of training and speaking. It interested me for a couple of reasons. First, I have attended many painful training sessions and some good ones. The painful ones were painful because they were boring and I didn't learn much from them. We've all sat through them. So, I began to pay attention to what makes a great speaker or trainer. It was fascinating to watch those that "captured" and "held" their audience and how they did it. So, I became (at age 48) a lifetime "student" of effective speaking and training and tried to emulate those things as a recovering "poor" teacher. As a poor teacher I've tried many things to make a little extra money. I have finally found something that works and that I love doing. I figured out some of the things that work and some that don't work so well in the professional speaking industry and that is what I want to share with you. I have condensed several years of research and study of the speaking industry into this book. It will save you hundreds of hours and thousands of dollars. And, of all the businesses I've owned, and I've owned a few, this one has the best lifestyle and makes the most money for the effort expended. I'll show you the business side of speaking and show you how to wow an audience. I have compiled a proven system based on my experience as a paid speaker. This system will save you a great deal of time and money as I've mentioned. I have an easy-to-follow process that would help anyone get started in this business. My sandwich shop cost me about $200,000 and it returned me nothing. That was a hard lesson. 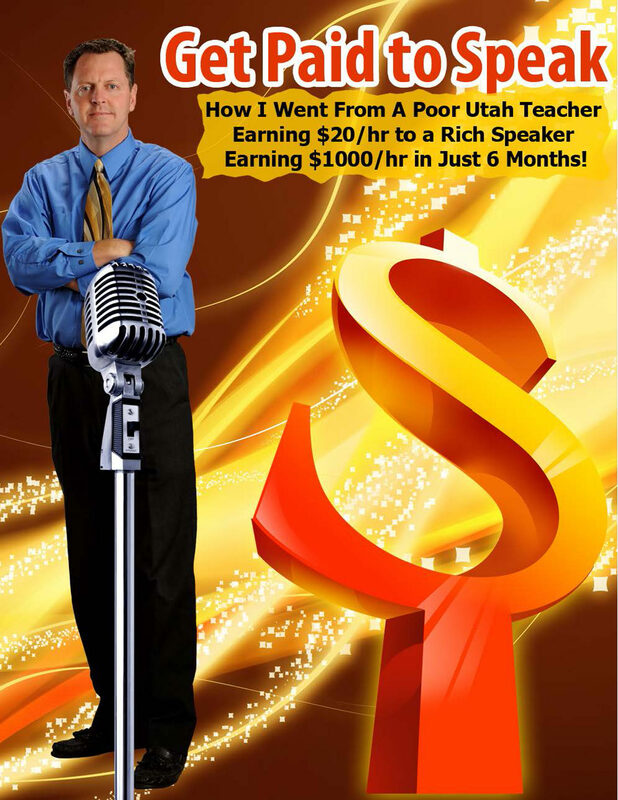 I will show you what I did to move from a poor Utah teacher earning just $20/hour to a rich (more than just money) speaker making $1000/hour in just 6 short months!. Otros ebooks de Russ Johnson.